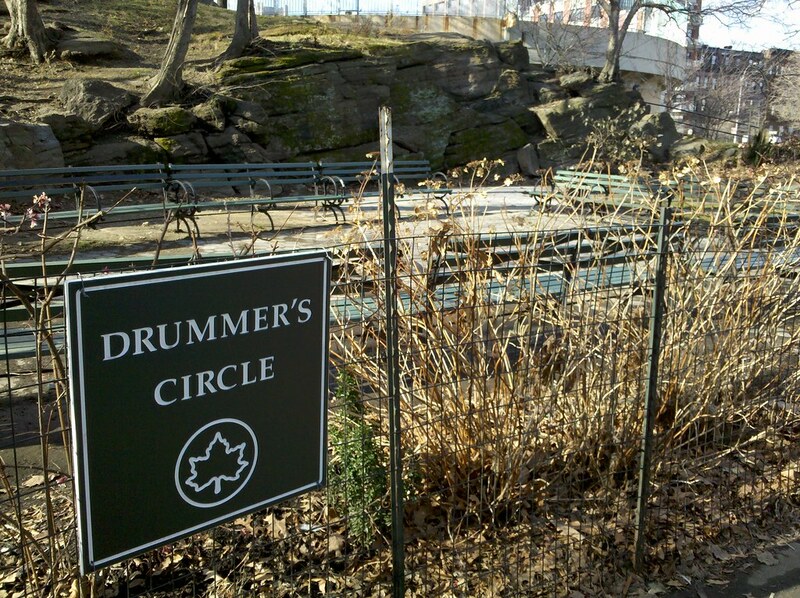 There was a big uproar a couple of years ago when residents of new luxury apartment buildings bordering Marcus Garvey Park began lodging complaints against the drum circle, which has been a community fixture since 1969. The drum circles bring people together for some good culture fun and enjoyment. Why try to bring hate into it? The people complaining ought to try going down and joining them not ridiculing them. It just strikes me as so twisted because wouldn’t you rather something so positive like this going on instead of drugs and violence? I think I’d rather listen to the drumming knowing people were being good rather than drunken falling down fighting violence and shootings. You hit the nail on the head, Dorinda. Well said. It amazes me how people expect a place to become different just because they moved next to it. In the SF Bay Area, a family moved in next to an open field with cows, then complained because the cows moo for their calfs and when they are going to be fed in the morning. They expected the cows to be taken away…..sorry, cows were there first. I would expect some kind time limit on how late the drumming could go on though. In law school today we read a NYT article from 2007 about the conflict & the co-op claiming the drummers were a noise nuisance – but I can’t seem to find anything online about if this was resolved. It really struck a chord with me, I’m obviously on the side of the drummers and their long standing tradition. Do they still drum on Saturdays? Have they been relocated in the park? Are there any time restrictions on the drumming?